CNN'S BIANCA BRITTON CONTRIBUTED TO THIS REPORT. MPs defied the government on Monday evening to vote 329 to 302 in favor of an amendment giving them control of Parliament's agenda on Wednesday and clearing the way for a series of alternative votes to May's widely criticized withdrawal agreement with the European Union. Come Wednesday, lawmakers could vote on as many as seven different options -- which might include a second referendum, crashing out with no deal, and a Norway-style deal with the EU, giving the UK full access to the single market and the European Free Trade area. 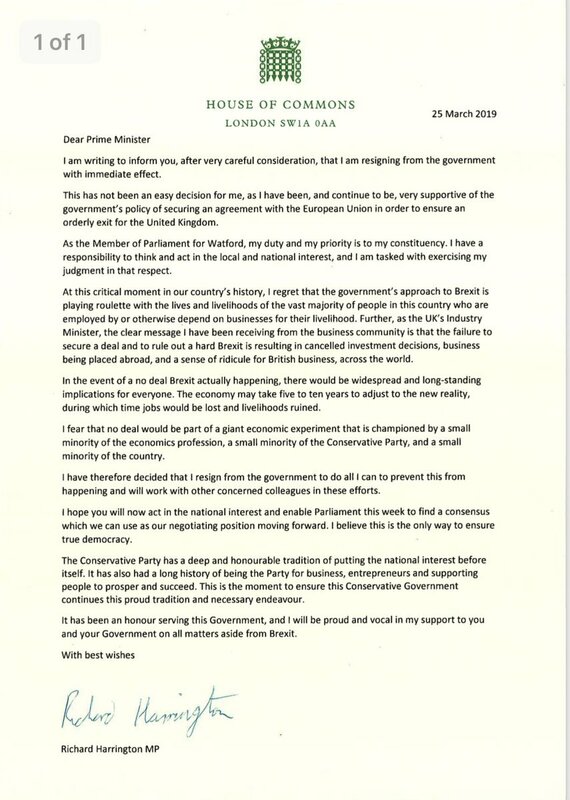 May, who is still hoping to pass her twice-rejected Brexit deal, told the House of Commons earlier Monday that there was not enough support for her deal to bring it back for a third meaningful vote. The Prime Minister also said she could not "commit the government to delivering the outcome of any votes held by this House. But I do commit to engaging constructively with this process." Her de facto deputy David Lidington later assured Parliamentarians that the government "has honored the wishes of the House" after they voted in previous non-binding motions, including ruling out a no-deal Brexit and in favor of delaying the country's exit from the EU. Lidington added that he hoped lawmakers would have another opportunity to vote on May's Brexit deal later this week, but the deal still lacks the numbers needed to pass it. As of Monday, the Democratic Unionist Party (DUP), which props her minority government, remained opposed to backing it. In a bid to win Brexiteers over, May warned on Monday that any Brexit option that is not the one she negotiated with the EU would result in a "slow Brexit." "A slow Brexit -- which extends Article 50 beyond May 22, forces the British people to take part in European elections and gives up control of any of our borders, laws, money or trade -- is not a Brexit that will bring the British people together." Anna Soubry, who recently left the Conservative party to join a breakaway cross-party bloc known as the Independent Group, made a spirited pitch to lawmakers before Monday's vote to take control of the Brexit process. "I will put my country and my constituents first and foremost and I don't care what that costs me," Soubry said. "If that means I can't go home at the weekend because of death threats, if that means I have get a taxi in order to do a 10-minute walk, if that means I have to be frightened for my wellbeing ... this is the biggest decision that this country has made since the Second World War and we come to this place to represent our constituents and do the right thing about our country," she said. Britain is still scheduled to crash out of the EU on April 12 if May's withdrawal deal is not passed and Britain's government fails to provide new proposals for a way out of the impasse. On Monday, the European Commission announced that it has prepared for an "increasingly likely" no-deal scenario. Guy Verhofstadt, the European Parliament's Brexit coordinator, tweeted Monday night that the passage of the Letwin amendment represented an "opportunity to build a cross-party cooperation leading to an enhanced political declaration [and] a closer future relationship."